On the Comic Book Resources forum for writer Gail Simone, Simone just did a short Q&A with Laeta Kalogridis, the woman who developed Birds of Prey for television many years ago. Loved the writing of the comic (J), loved the characters, was esp. enamored of the idea of pre-Crisis Earth 2 Helena Wayne, who I had always been fascinated by. Helena B. was just never as compelling to me. Even though the primary relationship in BoP comics was Dinah and Barbara, and I loved it, the potential for anger and edginess with Helena was too good to pass up. Dinah was always more of a well-adjusted gal to me (who else can pull off those fishnets???) and I thought I could have more fun with Helena and Barbara mixing it up. Also, “Killing Joke” was a seminal story for me, in that it asked questions about what heroism really was, and what it would mean to have been a hero and then be trapped in your own body in a way that made it impossible for you to live the same life you had before. For Barbara to then become responsible for a ward, in the form of Dinah, had great potential storytelling. Would she encourage Dinah to go in the same direction she had? Would she try to stop her? She was more than a mother, mentor, trainer, handler, all at once – and sending Dinah into situations where she might not survive on a regular basis. What did that do to her head? In short, I loved those women. Still do. They deserved their own series. I will say that since I was pushed off the project shortly after the pilot was shot (and I was unhappy with elements of the pilot as well,) I felt the direction the show took didn’t come close to the potential it had. I had some great writers on staff – they have since gone on to write on Heroes, Fringe, Lost, Dexter – one of them is the screenwriter of the Twilight series, all the films. They’ve changed out directors but not her! I think my team could have made something exceptional, and I’m sorry that BoP didn’t live up to that for fans. Read the entire interview at CBR here! Gotham Clock Tower Webmaster Craig's New Dark Knight Book Is Now Available! Earlier this year, Gotham Clock Tower webmaster Craig Byrne had the opportunity to work on his first non-Smallville book, and it is now available to order! The Dark Knight: Featuring Production Art And Full Shooting Script has all of the things that the title implies... not only does it have a reproduction of the script and screenplay (story by Christopher Nolan and David S. Goyer; script by Jonathan Nolan and Christopher Nolan)... it's also full of behind-the-scenes production art and stills from the recent Batman film, The Dark Knight. The text explaining what you're seeing is by Craig, who would be extremely happy if you pre-ordered a copy! So, get your copy and let's see it return to the top of the charts... and hopefully when you receive yours you'll like what you see! 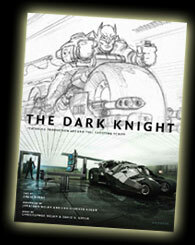 Order your copy of the Dark Knight book! Birds Of Prey Now Available On DVD! 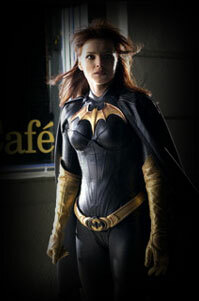 Birds of Prey: The Complete Series is now available on DVD. Unfortunately, music is indeed replaced on this set, but it's still great to have the entire series in one package. Order through us and support the KryptonSite Network! Order your BOP DVD today! Box artwork has also been made available for this set. Take a larger look! First Look: Smallville's Black Canary! KryptonSite has your first look at Smallville's Black Canary, as seen in the February 7 episode, "Siren." The Canary will be played by Alaina Huffman. One of the top questions we'd get for a while there here at K-Site was "When will we see Bruce Wayne/Batman on Smallville?" What many fans never knew is that, before a Young Clark Kent series hit the WB screens, and many years before Birds of Prey, the network had plans to do a series involving the youth of another popular DC Comics icon. Tying in with the June 15 release of the film Batman Begins, we'll take a look back at the television series that would have told its version of the story of how Batman begun. Click to read our special spotlight! Birds of Prey is still cancelled, and it's definitely not coming back, but it was finally time to start posting updates to this site. Birds, of course, was the short-lived Batman spin-off loosely based on the DC Comic of the same time. Sadly, it didn't achieve the success that Smallville did. If you hear of any news about the current whereabouts of the Birds of Prey actors, we'll happily post those things. You're also welcome to post on the new KryptonSite Message Board about the Birds! Stay tuned for more Birds info, and of course we'll keep you updated on the latest projects for Dina, Ashley, Rachel & co.
An episode guide for Birds of Prey is finally posted here at Gotham Clock Tower! Birds of Prey and its characters are copyright ©2003 Warner Bros., Tollin-Robbins Productions & DC Comics. This is a fan site and not authorized by the WB or DC. This is page copyright ©2009 Planet Krypton Productions, unless material is noted as coming from elsewhere. PLEASE DO NOT TAKE GRAPHICS, NEWS, SPOILERS, ETC. FROM THIS PAGE WITHOUT FIRST ASKING PERMISSION AND PLACING A LINK TO GOTHAMCLOCKTOWER.COM. OR, JUST SEND PEOPLE OVER TO THIS SITE! THANKS!